Have you ever wished you could earn extra money without having to be at work? Isn’t that one of the best things about paid time off? Imagine being on an epic vacation, visiting family for a weekend, being out with friends all night, or just taking a glorious, much-needed nap…and having money flow into your bank account the entire time. Does that seem impossible? It’s not. The above is a simplified description of earning passive income and you don’t need to be a millionaire to achieve it. You know how you’re required to clock in at work everyday? Your presence, one way or another, is required to earn a paycheck each week, right? You have to actively earn your income. You more than likely can’t just take a month or two off to go on vacation and still earn your normal salary. Passive income is the exact opposite. Your presence is not required to earn money, at least, not after the initial setup. Most passive income isn’t passive right off the bat. It may require an upfront time or financial investment. But it pays dividends down the road, as you’ll be able to profit from that income stream for years to come with little to no effort afterwards. Do you have dreams of achieving financial independence or retiring early someday? Then you probably know that passive income is one of the key components to living that dream. Unless you love your job so much you never want to retire from it, you might want a break at some point. Having streams of passive income will help you achieve financial independence because you’ll have enough income coming in outside of your day job to quit. Working becomes optional once your income surpasses your expenses, but the bulk of that income needs to be earned passively (without you being there) to make financial freedom possible. You can’t be free if you have to be somewhere to earn money! Passive income can help you even if you’re not looking to fully retire right away. You could always set up passive income instead of an active side hustle to help you earn more for savings or debt repayment. At the end of the day, if you value your time and don’t mind putting in the work, then passive income is right for you. 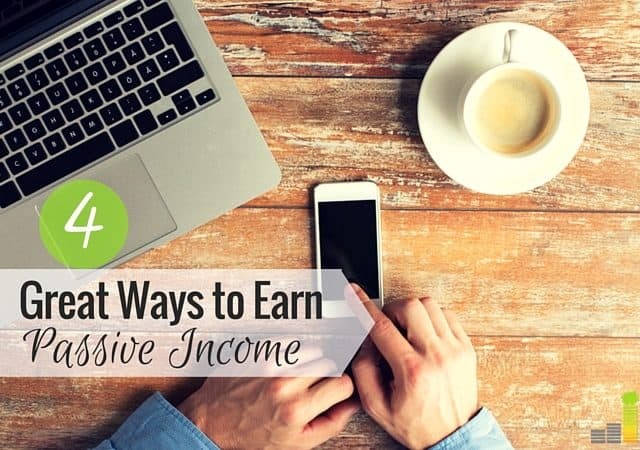 If this concept sounds a little too crazy to wrap your head around, here are a few examples of passive income that just about anyone can achieve. Just note that all of these ideas do require upfront work! I specify online because for the most part, selling anything online is going to have lower overhead. So many of my blog friends have authored and sold ebooks on Amazon and other platforms, others have sold courses, and some have even sold spreadsheets or worksheets they created. Do you have an eye for a good deal? You can sell those items, for a profit, by using Amazon FBA. You can make hundreds, or more, each month by selling items through Amazon. Here are some free training courses to help get you started to make money on Amazon. There is a huge market for a wide variety of things. One of the best ways to earn money is to think of a problem you ended up solving with your own ingenuity. Could it be likely that others are looking for the solution you found? Package it up as an online product sell it. Of course, it’s not as simple as that, but if you have a blog or an online audience willing to buy products from you, things get a little easier. There are plenty of people who start blogging to make money, and creating products to sell is a great way to turn that income into passive income as you don’t need to be there to sell it! People can search for the solution they’re looking for, and hopefully your product comes up in the results. They click on it, read about it and maybe they decide to buy it. Boom – there’s a sale in your bank account, and you could be sleeping on a beach somewhere halfway across the world. Key in creating an online product, or even starting a business, is having a website for the product/business. A website is a must have as it can serve as a portal to your business or means to make sales. 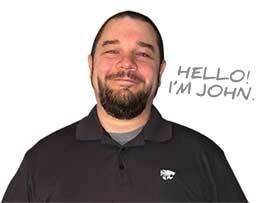 I know setting up a website may sound difficult, it doesn’t have to be. A hosting company, like Bluehost, can help you install and launch a website with one click. If you sign up through our Bluehost link, you can start a website for $2.95 per month plus a free domain name for one year. I’m not talking about buying and flipping houses. I’m talking about real estate investing for the long-run. Quite a few financial bloggers have mini-real estate empires and are able to live off of their rental income month after month. This isn’t something you can just jump into, but it is something to consider if you wouldn’t mind being a landlord or hiring out property management. There are many variables to worry about, but it’s all about building a good team under you to take care of your properties (if they’re far away). This is one of the main ways I hope to build passive income once my student loans are paid off. I don’t ever see myself wanting to buy property to “settle down,” but I wouldn’t mind buying a duplex or triplex and residing there alongside tenants who can (hopefully) cover the mortgage. You can also rent out a second home or apartment. Do you travel much or do you own a second property? Consider listing your house or apartment on Airbnb to earn extra money on the side or create a new stream of income. 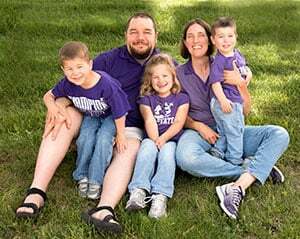 Another favorite among financial bloggers, dividend stock investing, is basically what it sounds like: investing in dividend stocks and building your portfolio to the point where you can live off of the dividend payouts. Like it or not, investing is a key part of being able to retire early. You need a way to grow your wealth to outpace inflation. If you want to do this and either don’t know where to start or have little to invest, you can begin to build your own dividend portfolio at Ally Invest with no minimum balance. Dividend stocks can be a good option to accelerate your way toward financial independence! I know, this probably doesn’t sound passive at all, but think about it for a few seconds. Have you ever worked for a smaller company where you knew the owner(s)? Were they there a lot, or could they take off and not have to ask anyone for permission? Some people create a business because it’s their passion, while others build businesses to create a stream of passive income in the future. The creation of a business isn’t something to take lightly, but if you can build an amazing team alongside you that can run the operations with little to no supervision, you have yourself a nice passive income stream. The key is to be able to outsource every aspect of your business – enough to keep it as hands-off as possible. Again, one key to building a business is launching a website to go alongside it. You can start your own website for $2.95 per month through our Bluehost link – which also allows you to install it with one click. I didn’t even know what passive income was before I began blogging, but after seeing so many examples of it played out, I’m fairly certain I can make it happen. And if I can, you can as well. You don’t need to be a millionaire to create products online or invest in the stock market. You just need to be able to manage your money intelligently. Start with the goal of generating passive income, and work your way up. Come up with ideas you can implement, consider how much time you’ll have to spend on the project before it earns any money, and figure out whether or not passive income is right for you. Do you have any passive income sources? Are you working toward one? How? Do you think the term passive income is slightly misleading given the work you need to put in beforehand? Great points. It was definitely an important point that you brought up that passive income is not passive in the beginning usually. A lot of people get started trying to build up passive income, but quit before it ever hits the passive point. Or worse, they get started with a venture that has no potential to ever be passive and they get stuck. You’re right, Larry! 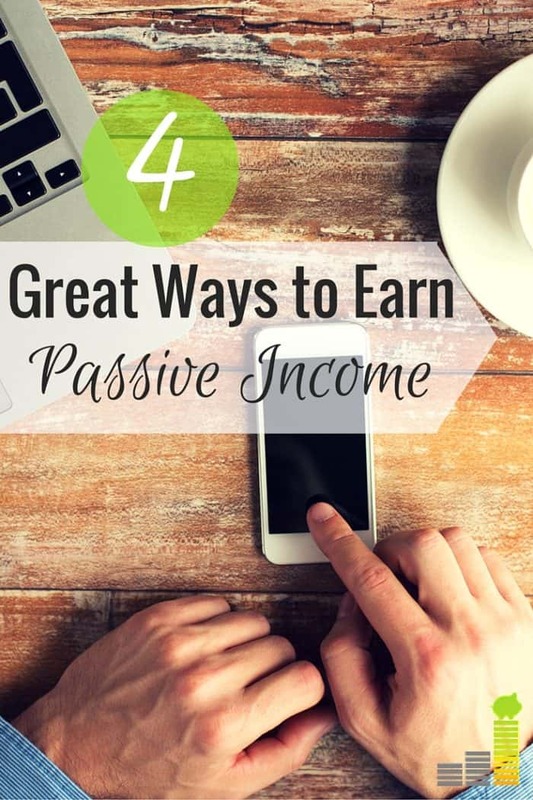 The promise of passive income is alluring and I can see why people sometimes have the wrong idea about it, so I wanted to make it clear that there’s no get-rich-quick schemes happening. Spot on. Such an income becomes ‘passive’ after a long time (if it does), since in most cases you need to ‘support’ your service/product or keep on investing in your business. Of course, if done well, this will earn you a pretty decent income. I have a web design business (work from home) and have also released a freelancing course that teaches absolute beginners the ropes of working online. It’s not passive income though, since I need to help my students, improve the course etc. But it does bring in some much welcome side income. That’s a great idea, Ramona. Down the road, you can always hire a team to manage the course as well, or charge more for personalized access to you if coaching is fulfilling. I also sell my own knitting patterns on a few knitting sites. They were a lot of fun to design, but it was more of a pet project than anything because I think in the last 6 months since I put them out, I’ve only made about $70 or so. It tends to be seasonal, as more people knit in the winter, so I’m expecting it to slow down. Hey, at least you’ve started to earn something! That’s a step in the right direction. I’ve definitely seen knitting patterns and things like that on Etsy. That’s a great example of a single item you can create that can be purchased again and again with no effort from you! I created an online course and it has made me less than $20 so far. I learned the hard way that it is not as simple as creating an online product and the customers will come to you. You have to SEEK OUT customers and market your product/course. I also started a blog which has earned me a little bit more. It’s just a month old so I am not expecting huge earnings in the beginning, but that should be another source of passive income for me. Aw, I’m sorry to hear it didn’t work out! You’re right that you need to define and find your audience first. Your blog is just a month old and you’re already making more from it? You’ll definitely see success if you keep working at it. That’s a great start! Love this! I’m all about passive income and it’s the main thing I’ve been working on in the past year. Thanks, Michelle! It’s an awesome goal to work toward. The easiest way to invest in dividend paying stocks is through dividend ETFs like SCHD. Low expense ratio (0.07%) and well diversified and you could trade these commission free if you chose the right brokerage firm. Even if you pay a commission to buy these ETFs, you are going to be holding them for the long term. As long as a brokerage firm supports automatic dividend reinvesting and support for fractional shares, you are good to go. Thanks for sharing that, Michael. Investing isn’t exactly my area of expertise, but it’s on the top of my list to learn more about! Even if you’re not seeking out early retirement, passive income is a great way to diversify your income because you never know when something might happen to your “day job” or other sources of income. I’m planning to create an online product, but I know the work doesn’t end when it’s created because the marketing is the bulk of the effort. Agreed, Gary. Passive income is useful no matter what your situation is. And you are right – most people are going to need to have multiple marketing/promotion cycles for their products throughout the year, and some may need to update their courses/ebooks, but that maintenance beats some alternatives. When it comes to generating passive income, it’s also important to consider scalability. Have a plan in place so that once you are able to earn $100 a month in real estate investing, for example, you know what you have to do do increase that to $1,000. Having those systems in place is when real freedom occurs. Totally agree, love that you mentioned having systems in place! That is key for any wealth plan. I would love to have passive income! The blogging thing isn’t bringing in income but at least I really enjoy it. Maybe one day! I’ve dabbled in real estate investing but there have been some hiccups this first year but hopefully the future is bright with that investment. Nice! At least you got started. So many people let their fear hold them back and they never try. Any of these endeavors have a downside, but you’re not going to get ahead if you don’t take a small chance at first. I like dividend investing because it serves two masters. An investor can take there dividends each month or DRIP invest them to continue feeding their stock portfolio. At the same time whether the investors takes the dividend or DRIPS; their retirement portfolio is growing. That is of course if they choose their stocks wisely. They should appreciate year over year. Passive income today and a retirement portfolio tomorrow. Sounds good to me. Yes! I think dividend investing is one of the best ways to get started with passive income for this reason. I invested in real estate in the past and I am currently renting out two of the properties that I own. There is still a small mortgage on one of the properties but it will be paid out pretty soon. It is great to receive a certain amount of money every month from this source of passive income. In future I would definitely like to add a few more properties to my portfolio, there is definitely money to be made. That’s so awesome, Eva! I’m glad it worked out for you that way. I have to imagine it gets a little addicting after you have enough experience with it. Hey there Erin! I’m interested in a few option you mentioned above…particularly dividends a day online products. I have a few financial goals to get through, but I want to add these along the way to accelerate progress. I hear ya, Latoya. I want to get my student loans out of the way before I get heavily involved with passive income. The less obstacles, the better!